How is a waiter satisfied with his job in a restaurant? When you were waiting for your food, have you ever wondered this question looking at the person who carried the plates back and forth? Last April I started to notice a waiter. His service was fantastic, with his agile movements in spite of his old age; he looked the oldest among the servers in that restaurant. He did not have any particular facial expression, but he fascinated me. His charm might have come from a combination of humility and confidence. I truly felt that he really enjoyed what he was doing. I imagined his whole life while I was having the food he served. When I left the restaurant, I walked over to him while he was busily serving his customers, I had lots of questions for him but I only asked a brief question – his age. I admired him and asked him to take a photo of us. When I came back to my accommodation I realized that I should have asked him to have an interview with me. Two months later, at the end of June, I visited the restaurant again during my second visit to Denmark for my in-depth report. Luckily he was there and he recognized me instantly. “You must be the reporter from South Korea?” he asked. He was pleased to take an official interview this time. Now, here are the secrets of his happy life. “You looked really happy” I said. “Because I truly love my job now.” he replied. Working and studying at the same time is Denmark’s distinctive system; Danish workers enjoy vocational programs while working, for 10 weeks a year with government support. He learnt not only labor skills but also the meaning of fruitful labor in a vocational program. That is why he really enjoys what he is doing now. He was really proud of his son, but to be honest, I could not understand him, because normally in Korea, most of fathers who were waiters wanted their son to get further ahead in the world. I suddenly recalled an interview with a Korean executive in a big firm. He has a son who works for a medium enterprise, and he felt ashamed of him. Another friend of mine also has a similar attitude toward his son. My friend is a doctor, while his son did not go to a famous college and does not even have a decent job; this is the reason why he did not tell me about his son’s job until recently. Klaus goes to his high school reunion every five years and he never hesitated to talk about his story and even his son’s. So, who is happier between the Korean doctor who is ashamed of his son, and the Danish waiter who is proud of his son? This is not the problem of a relationship between father and son, but rather a different attitude of valuing labor. Klaus has never worried about getting a raw deal because he is not the only one to be against it. There are about 300,000 members in the union and all of our staff members in this restaurant joined it. “So there is no discrimination in our workplace, if it happens we can report the union and its representative can talk about the problem with the relevant owner. Surprisingly, he never has experienced bad things in his workplace. Nevertheless he continuously pays 200 dollars every month to receive unemployment benefits later; 3000 dollars per month is the amount that both unions and the government together provide us for one and half years. 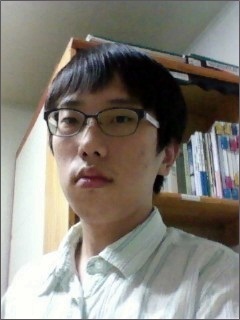 People might think that the article by Seong-hwan Yun was written by an experienced citizen reporter. Surprisingly a mere second grade history student wrote these profound stories on OhMynews. His remarkable writing ability can be traced to his habit of ceaselessly reading history publications since middle school. He wanted to become a historian, so he studied a wide range of historical subjects, such as ancient history and contemporary history. He wants to be a neo-historian who concentrates not only on history but also contemporary social issues. This socially critical perspective was inspired by his experience of increasingly desperate circumstance in his family. He moved to Seoul to attend university and lived alone in a tiny rented room which cost 290,000 won ($270 USD) per month. One day he saw that his electricity was cut off after he went back home to Daegu. He found out that his mother could not afford to pay both his rental fee and the utility bill. Luckily he now has a fixed amount of income from a weekend part-time job in a city library and contributes papers to a historical journal. Then what sort of society is desirable for him? His answer is ‘living together well’. He also thinks a lot about unification between North and south Korea. His grandparents’ hometown on his mother’s side is in North Korea. He is young, however, he has considerable insight and perspective towards society and history. That is why his articles are so thoughtful.